Книга "Highly Recommended. Level 1. Student's Book. Pre-intermediate. 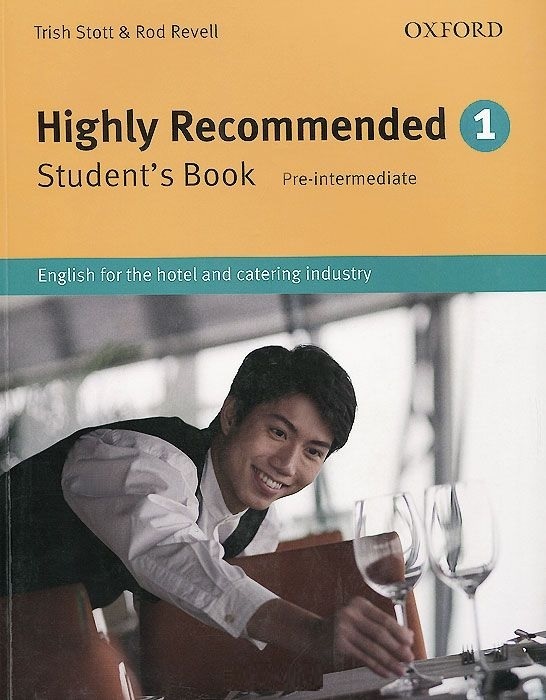 English for the Hotel and Catering Industry"
Характеристики книги "Highly Recommended. Level 1. Student's Book. Pre-intermediate. English for the Hotel and Catering Industry"
Разделы, в которых можно купить "Highly Recommended. Level 1. Student's Book. Pre-intermediate. English for the Hotel and Catering Industry"